Merry Christmas tonight from the Alexander and Goldman Show on KKNT! Update: the show is now available here. Tonight on the Alexander and Goldman Show I will be discussing Obamacare with Brian Symes and James Allen. We will be analyzing the recent court decision striking part of it down, and comparing it to Romneycare in Massachusetts. Is Romneycare any better? Will the Supreme Court strike Obamacare down? We also have an update from Jesse Hernandez from the Arizona Latino Republicans. Listen tonight from 6-7pm Arizona time (MST) on AM 960 KKNT in Phoenix or live online at KKNT960.com. Will be available a few days later on our website, AlexanderAndGoldmanShow.com. Planned Parenthood Arizona is promoting tax credits intended for organizations that assist poor state residents for donations that would benefit the abortion business. In a promotional released last week, the southwestern abortion organization issued a fundraising appeal taking advantage of a federal tax rebate. “Services is defined as cash assistance, medical care, child care, food, clothing, shelter, job placement and job training services or any other assistance that is reasonably necessary to meet immediate basic needs and that is provided and used in this state,” it says. The fundraising appeal was posted on the Planned Parenthood Advocates of Arizona web blog, which is the political arm of Planned Parenthood Arizona, which makes the tax credit-based appeal appear even less likely to meet the criteria for which it was intended. The ADR web site providing a list of qualified recipients merely lists “Planned Parenthood” as eligible. Jill Stanek, a pro-life nurse and blogger, noticed the tax credit and said pro-life groups should work towards making sure it can’t be applied to an abortion business. “This is a pro-abortion tax loophole pro-lifers should strive to close, if possible,” she told LifeNews.com. ACTION: Contact your elected officials to ask that Planned Parenthood be removed from the tax credit list. Also contact the Arizona Department of Revenue here. Phoenix, AZ - December 21, 2010 - Most Reverend Thomas J. Olmsted, Bishop of the Roman Catholic Diocese of Phoenix, declared today that St. Joseph's Hospital and Medical Centercan no longer be considered Catholic. The Bishop stated that the Hospital and Catholic Healthcare West, had failed to comply with the Ethical and Religious Directives of the Church. The issue stems from an incident last year, where St. Joseph's Hospital elected to terminate the pregnancy of a seriously ill pregnant woman because they considered the pregnancy put the mother's life at risk. Hospital officials have stated that they terminated the pregnancy to save the mother's life. Sister Margaret McBride, who sat on the hospital's ethics panel and allowed the abortion to take place, was excommunicated from the Catholic Church for her participation. Catholic Church doctrine considers that when the baby's life is specifically targeted for termination, such an act is considered an abortion. The Church does not consider it an abortion when anunborn child dies as an indirect result of any other medical efforts to assist the mother. According to the Bishop, this abortion was not the only reason for his decision. Recently, he had learned that for more than seven years CHW has committed numerous violations of the Catholic Church's Ethical and Religious Directives for Healthcare. Arizona Right to Life acknowledges the difficulty of this decision and our hearts and prayers go out to the family who lost their child. While we realize that this decision may be divisive, we praise and support the stance taken by Bishop Olmsted and the Catholic Church that promotes life and values the lives of both mother and child during the pregnancy. Click Here to read Bishop Olmsted's Statement. Arizona Right to Life is the state's oldest, largest and strongest pro-life organization, commited to Preserving, Protecting and Promoting the Sanctity of Life from conception to natural death. calling our office at 602-285-0063 or emailing azrtl@azrtl.org. The City of Tucson's blatant 7 percent bid preferences are now over. Tonight on our KKNT 960 Alexander and Goldman Show we will be discussing the failed omnibus spending bill and the tax cut bill that was just signed into law. We will tell you all about both bills, including which Congressmen were responsible for loading the spending bill with earmarks - you will be surprised how many were Republicans. Fortunately it did not pass due to a lot of Tea Party opposition, instead a smaller compromise bill to keep the government from shutting down passed. We will then discuss the tax cut bill that Obama signed, extending the Bush-era tax cuts for two years. It's not as good as it seems - there are tax breaks for ethanol and the clean air industry in there, and for NASCAR! Joining us to analyze will be Daniel Mitchell from the CATO Institute, an economist with expertise in tax reform and supply-side tax policy. We will also have a brief update from the Arizona Latino Republican Association, and Robert Karnes with The American Drive. Robert is organizing a drive-in through Washington, D.C. to send Congress a message that we will hold them accountable to repealing Obamacare. Listen live from 6-7pm Arizona time (MST currently) tonight on KKNT960.com or wait for the upload in a couple of days to AlexanderAndGoldmanShow.com. Commissioner Louis Araneta has officially resigned from the Commission on Appellate Court Appointments. "Yesterday, I called for Commissioner Araneta to resign from the Commission on Appellate Court Appointments because of comments he made last week citing an applicant's Christian faith as a disqualification for service on the Independent Redistricting Commission," said Cathi Herrod, Center for Arizona Policy President. "Today Commissioner Araneta resigned. Public officials, whether serving by appointment or election, are accountable for their statements and actions. Today's resignation by Commissioner Araneta preserves a critical principle central to our government: that religious faith and service should not be and is not a disqualifier for public service. Denying or challenging a person's ability to participate in public service because of their Christian faith is contrary to the ideal of religious liberty secured by the United States Constitution." A member of the Arizona Commission on Appellate Court Appointments is being called to resign after citing an applicant's Christian faith as a disqualification for the Independent Redistricting Commission (IRC). The IRC is charged with nominating 25 people to sit on the five-person body that will be drawing the new legislative and congressional district lines. According to news reports and observers who attended the commission's public hearing on December 8 in which the commission reviewed applications, Commissioner Louis Araneta voiced concerns with applicant Christopher Gleason. Araneta spoke out against Gleason's application because it included "strong religious overtones" saying "there should be a separation of church and state." "Not only did Mr. Araneta completely mischaracterize Mr. Gleason's application, but it is unconscionable that a person's religious beliefs are seen as a disqualifying bias. Not one commissioner challenged Mr. Araneta's comments against Mr. Gleason," said Cathi Herrod, president of Center for Arizona Policy. The only mention of Gleason's Christian faith on his application is his membership on the board of 4-Tucson, a Christian community service organization. "The IRC is designed to be a nonpartisan, independent body," said Herrod. "Mr. Araneta's remarks and the Commission's silence reveal a bias against people of certain religious beliefs. Mr. Araneta should step down immediately, and the commission should issue an apology to Mr. Gleason for their silence." What is perhaps most troubling about the Commission's religious bias is that the Commission is the same group that nominates judges for Arizona's appellate courts. It's deeply disturbing that those individuals charged with selecting judges would say that faith in Jesus Christ is a disqualification for public service. The Appellate Court Commission provides the governor with a list of judicial candidates in much the same way as they provide a list of candidates for the IRC. Last Saturday evening we interviewed Israel Ortega from the Heritage Foundation and Alice Lara and Jesse Hernandez from the Arizona Latino Republican Association about the DREAM Act. We also discussed "Somos Republicans," which appears to be a one-woman organization claiming to speak for Republican Latinos. In reality, the main purpose of her organization appears to be to bash conservative Republicans, including conservative Latinos. Listen to the show here. PHOENIX – “Last week, an applicant for the Independent Redistricting Commission was blocked by the Commission onAppellate Court Appointments, apparently because of his religious faith. In an open meeting, a Commissioner opposed the application of Christopher Gleason for the sole reason that his application indicates he is a man of faith. Nothing was done to address this outrageous and offensive attack on Mr. Gleason’s faith. The Commission then proceeded to vote to prevent Mr. Gleason from reaching the other legislative leaders and I for consideration for an appointment to the Independent Redistricting Commission. I am shocked and alarmed that a Commissioner of a constitutional commission, acting in an important constitutional proceeding, would openly oppose an applicant because his application appeared too religious. It is totally unacceptable to suggest that candidates for public service in Arizona must check their faith at the door. Tonight on the Alexander and Goldman Show we will be discussing The DREAM Act with Israel Ortega from the Heritage Foundation and their Spanish language website, libertad.org. During the second half of the show we will interview Jesse Hernandez and Alice Lara from the Arizona Latino Republican Association to get their thoughts on the DREAM Act and the renegade sham Republican Latino organization Somos Republicans. Listen from 6-7pm to hear the inside scoop on what the DREAM Act is really about, whether it will pass, and who supports it. Senators Kyl and McCain? The DREAM Act would provide a path to citizenship for the children of illegal immigrants who came to this country illegally, instead of penalizing them by making them return to their country of origin first. McCain and Kyl have supported "comprehensive immigration reform" in the past, which ended up including the DREAM Act. 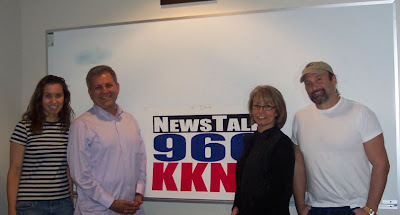 Listen locally in Phoenix to AM 960 or listen live over the web at KKNT960.com. Tonight on the Alexander & Goldman Show we will be discussing COICA, the Combating Online Infringement and Counterfeits Act being considered in the Senate. Prominent conservatives on the web have come out opposing it, since their petition here. We will also discuss the leaked national security documents being disseminated by Wikileaks. Listen in from 6-7pm at AM 960 KKNT or online at KKNT960.com to find out what's really going on! Call in at 602.508.0960. The columns below that appeared in the Arizona Republic show what you and your family pay every year for government excesses. Read the facts for yourself to see what you’re paying and what it’s going for. The more people who know about this, the more likely it is to be addressed, so please forward this on to as many people as possible. See below full article or to open the link later please click HERE. If you have been reading the Republic’s series by Craig Harris on the sorry state of pension management in Arizona, you probably are upset and angry. You should be. $270 million – Increase in employee cost over past five years – with about the employee count. Plus scores of new and hiked fees on small businesses, growing so frequently that the city had to come up with a process to handle them. Instead of addressing the high labor cost, Phoenix has shuffled workers to other departments. It issued passionate statements about municipal sacrifices to make the budget work – when in fact only 15 people were let go while most got raises or pension increases. At the same time, it has cut programs, locations, hours, services, transit routes while delaying or killing projects for citizens. That includes libraries, senior centers, after school programs, neighborhood bus routes and more. I think the city is in a fiscal crisis and is heading down the same path as General Motors, Bell, California, Detroit and Greece if it doesn’t deal with labor costs, which are driven by pension and benefits. Before the articles, the city refused to even look at it. The outside examination recently recommended is good, if it’s real and not simply a delaying tactic until the stories blow over. 2) Pay employees commensurate with the private sector. That could save nearly $300 million. You’ve seen public officials respond to these pension stories. Pressure and public scrutiny works. If you hold their feet closer to the fire than labor groups do, they will change things. Your voice matters most. Use it. Phoenix City Councilman Sal DiCiccio represents District 6, which includes Ahwatukee, Arcadia, Biltmore, East Camelback and North Central. He can be reached atcouncil.district.6@phoenix.gov or 602-262-7491, or go to www.ChangeAZ.com. Pension deal should outrage every Arizona taxpayer. Please click HERE to read Laurie Roberts column in the Republic on pensions. 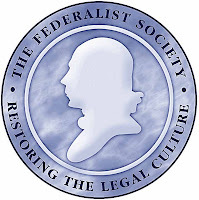 The Federalist Society, Phoenix Lawyers Chapter is pleased to co-sponsor a panel discussion with the Arizona Labor and Employment Relations Association and the American Constitution Society regarding the impacts of Senate Bill 1070 on Arizona Employers. The panel includes esteemed guests Phoenix Mayor Phil Gordon, and bill author Kris Kobach, Kansas Secretary of State-elect. This event may qualify for two hours of CLE credit and the ALERA has offered to extend the member price of $35 to Federalist Society guests. For more information, see the email below and you can register online here. Senate Bill 1070 (SB1070) was signed into law by Governor Jan Brewer on April 23, 2010. This program will center on the impact SB1070 will have on commerce and on labor and employment in Arizona and the likely impact on the businesses that engage in commerce in Arizona. Gordon was elected Mayor of Phoenix on September 9, 2003, with 72 percent of the vote. He was re-elected in September 2007, with 77 percent of the vote. In 2008, Gordon was named the Best Mayor in North America by the London-based World Mayors Project. Currently, he serves as chairman of the U.S. Conference of Mayors' Task Force on Comprehensive Immigration Reform. In August 2010, Mayor Gordon was appointed to U.S. Environmental Protection Agency's Local Government Advisory Committee for a two-year term. Mayor Gordon has also built a stronger international presence for global opportunities in business and investment. His recent "bridge building" business and development trips have included Dubai,Saudi Arabia, Israel, Canada, China, Japan and Mexico. Professor Kobach received his bachelor of arts degree with highest distinction from Harvard University in 1988. He graduated at the top of his class in the Harvard Government Department. In 1988, the British government awarded him a Marshall Scholarship, which took him to England for post-graduate study. In 1992 he received his doctorate in Political Science from Oxford University. In 1995 he received his J.D. from Yale Law School. While at Yale, he taught undergraduates in the Yale Political Science Department, and in 1994 he won the Prize Teaching Fellowship, an award based on student nominations and faculty review. He is Senior Counsel at the Immigration Reform Law Institute, a Washington, DC-based legal advocacy organization that represents U.S. citizens in immigration-related cases across the country. Professor Kobach is the principal author of SB 1070. Professor Gonzalez is a member of Phoenix School of Law's founding faculty. He teaches Constitutional Law, Federal Courts, Federal Indian Law, Alternative Dispute Resolution (ADR), Property, and is Director of Experiential Learning, including the mediation and Hybrid clinics. He is admitted to practice in Arizona, Colorado, Michigan, the U.S. Court of Appeals for the Ninth Circuit and U.S. District Courts for Arizona, Colorado, and the Western District of Michigan. He served five times as an accredited consultant at the United Nations Permanent Forum on Indigenous Issues and the UN Commission on Sustainable Development (2004-09). He is a frequent guest on local television and talk radio. He was a Commissioner on the American Bar Association (ABA) Commission on Race and Ethnic Diversity, chaired the Arizona State Bar Committee on Women and Minorities, and serves on the Maricopa County Bar Association Diversity Committee and is a member of Los Abogados, Arizona Hispanic bar association. Nicholas J. Enoch, Esq. - Lubin & Enoch, P.C. Rose McCaffrey, Esq. - Sherman & Howard L.L.C. Congressman Trent Franks (R-AZ) has joined Representatives Mark Kirk (R-IL), and Emmanuel Cleaver (D-MO) in sending a letter to the Egyptian Ambassador to the U.S. welcoming the release of Egyptian blogger Abdel Kareem Soleiman Amer and calling on the Egyptian government to ensure Mr. Soleiman and others in Egypt are guaranteed the freedom to express themselves in the future, especially on matters of religion and politics. Mr. Soleiman was sentenced to four years in prison on charges of blasphemy and criticizing the president. More specifically, Mr. Soleiman’s sentence rested on comments he made on a personal blog criticizing the government’s response and handling of an attack on the Christian community at Al Kosh and for his criticism of the rising Islamic extremism at Al Azhar University. Upon first learning of Mr. Soleiman’s imprisonment four years ago, Franks wrote to the Egyptian Ambassador in Washington on Mr. Soleiman's behalf, after which Mr. Soleiman's initial trial was postponed; Mr. Soleiman later received a sentence much shorter than the ten years most human rights advocates anticipated he would receive. In addition to the attached letter, Congressman Franks also sent a letter with colleagues to US Ambassador to Egypt, Margaret Scobey, calling on the U.S. Embassy to remain engaged in this case and to work with the Egyptian government to address ways to improve the legal justice system in order to provide greater protection for the freedom of religion and expression in Egypt for all people. 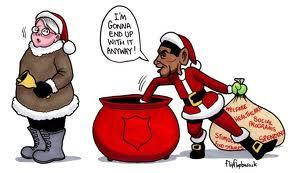 The Lame Duck Strikes!!! Senate To Vote on Defense Authorization Bill which May Allow Abortions on Military Bases Both Domestically and Abroad!! As we expected the Democrats are moving fast and hard to pass legislation before the balance of power shifts in January. A vote is expected today or tomorrow on a Defense Authorization Bill, which has several different versions, one of which contains language to allow Abortions on Military bases. We must act now!!! Help us protect our little ones by NOT allowing this Senate to use our military to do them deadly harm. Call or email your Senators today to urge them to vote NO on the Defense Authorization Bill, if it contains the language regarding abortion. Every donation helps our efforts to save innocent Lives. On Wednesday, December 8th ALRA will be having a Happy Hour/Feliz Navidad/end of the year gathering at Padre's Modern Mexican Cuisine from 5:30 PM to? Padre's (602) 277-1749 is located at 1044 East Camelback Road, Phoenix. Please stop by and bring your conservative friends! Contact Alice Lara 602-276-3959 alicelara@hotmail.com or Rey Torres axacayatl@hotmail.com for more info. SUPPORT YOUR LOCAL POLICEALRA member Art Olivas who leads LLITPP - Latino Legal Immigrant Tea Party Patriots invites all tea party patriots to a rally to show support for the Phoenix Police Department on Saturday, December 11th 10:00 AM at the State Capitol parking lot. The march will be to the Police department on 7th Avenue and Washington and then back to the state Capitol. There will also be a food drive so gather up your canned goods etc. If you have any questions, please contact Art at 602-268-9758. ALRA Chairman Jesse Hernandez appeared yesterday on Las Vegas NPR radio station News 88.9 KNPR debating the proposed Dream Act. http://www.knpr.org/index.cfm He reports there should be a podcast up soon.